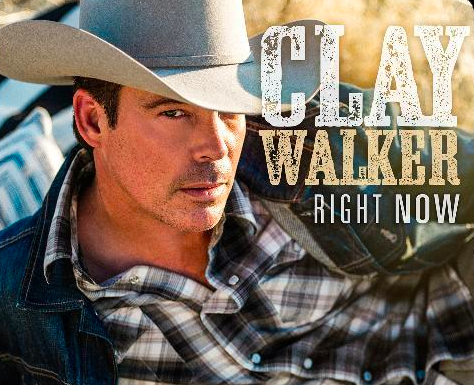 An exciting new single from Clay Walker. Clay Walker is back with a brand new single. Clay parted ways with RCA after an album in 2003. After that he joined Curb and has been on that label ever since, but only releasing two albums and none since 2010’s She Won’t Be Long, which was a great album. Curb has had their disputes with artists. The label has proven to get results, but they’ve also proven to be combative with their artists. Seems counterproductive. Anyway, Clay is free now and testing a new single. If it does well he could be looking at joining a label and getting this thing back on the radio. Great love song. It blends Clay’s soulful voice with a sound like he’s been doing his entire career while still sounding fresh. Clay’s voice sounds as good as ever, which is very impressive. And it’s been a voice and style that fans have loved for more than 20 years now. The song is about a guy yearning from the love and touch of the woman in his life. We’re all lucky if we have this feeling for someone – that feeling when you can’t think of anything else except being with them. And the melody is really good. It’s catchy and something that seems to get better with each listen. For those reasons I think this has a real shot to be a hit. There is a real depth to this song and that’s been something Clay has shown a knack for throughout his career. If you’re a Clay Walker be sure to share this song with your country loving friends. Request it on SiriusXM’s The Highway. The song will be getting some airplay there and if it does well Clay could hookup with a major label and get some support.